As an artist my favorite way to create is to draw with pencils and charcoal. Making black as black as possible, all the shades of gray in between and in this drawing a color. I love machines, factories and buildings. 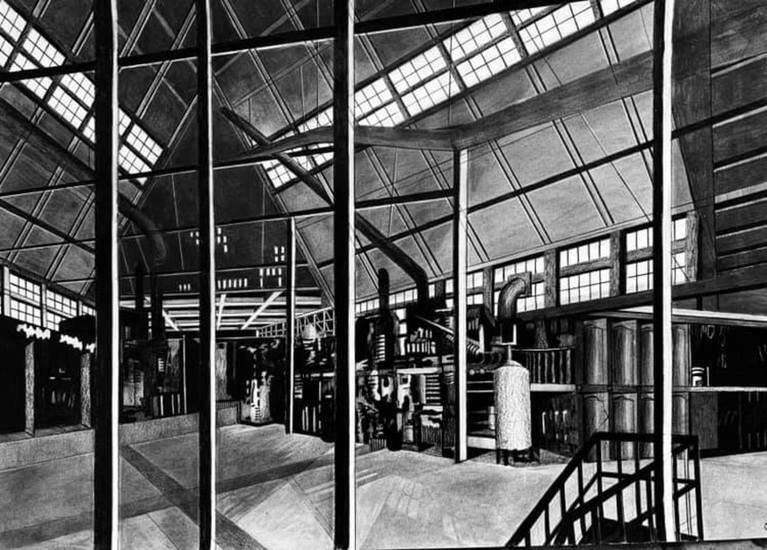 After a visit in a glass factory I decided to draw the factory hall with its architectural lines and pipes. The contrast between black and white must be as large as possible.